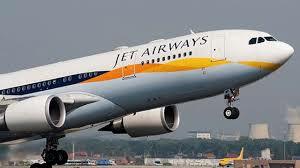 Pilots at India’s Jet Airways have been told by their union to put off a planned strike to give its management and key lender State Bank of India time to strike a deal to keep the debt-laden airline flying, ANI reported on Sunday. With more than $ 1.2 billion of bank debt, Jet is battling for survival and has yet to receive a loan of about $ 217 million as part of a March rescue deal. A Business Standard newspaper report on Sunday said Jet’s lenders, led by the SBI, are considering a proposal to infuse 10 billion rupees ($ 145 million) to keep the airline afloat once Jet submits a plan on how it intends to use the money. Rajesh Sharma is Correspondent for Stock Market of South East Asia based in Mumbai. He has been covering Asian markets for more than 5 years.